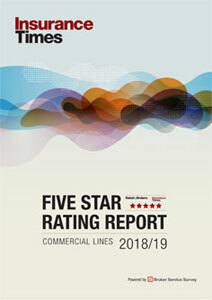 Rating agency Fitch has revised its sector outlook on the UK general insurance market from stable to negative. The outlook excludes the London market, which retains its stable sector outlook from Fitch. Fitch changed the outlook on the UK general insurance market because it expects underwriting profitability to deteriorate and investment returns to remain persistently low. Revealing the outlook change at Fitch’s 2014 Insurance Roadshow event in London this morning, Fitch associate director Anna Bender pointed out that, excluding reserve releases, the UK general insurance market outside London has not been profitable since 2004. It only just broke even in 2012 when reserve releases are included. A big reason for the expected drop in profitability is the sector’s dependence on personal lines motor, its biggest business line , which has been consistently unprofitable for several years. Bender noted that personal motor rates deteriorated sharply in response to last year’s legal reforms aimed at curbing claims costs. She said: “It seems like the companies have responded almost immediately by reducing their prices. Also contributing to Fitch’s view is the increase in the use of periodic payment orders (PPOs) to compensate severely injured claimants, and the resulting rise in reinsurance prices that UK motor insurers have had to pay. Despite the negative sector outlook, the UK general insurance sector remains financially strong, Fitch believes. Fitch’s sector outlooks reflect the rating agency’s view of trends affecting an entire sector, rather than just the companies it rates. 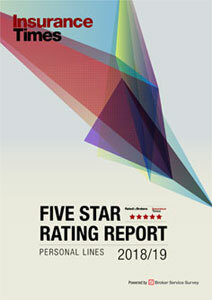 Its rating outlook for the UK non-life market as a whole, including the London market, remains stable. Fitch divides the UK non-life market into two parts: the UK market outside London and Lloyd’s, which it calls the UK company market, and the London market.